While we could understand drivers having some doubt about features in select luxury sedans, the 2017 Acura RLX comes standard with the Technology Package, giving you features many competitors require upgrades for. After you see everything that comes standard on the RLX, we think you’ll understand why we say it’s one of the finest sedans available to Essex and Somerset drivers. Discover some of our favorite features below before sitting behind the wheel to experience how intuitive each of these premium features is. An 8-inch LED screen is mounted high on the dash for convenient visibility, directing you to your destination and responding to voice controls for maximum convenience. AcuraLink Real-Time Traffic with advanced Traffic Rerouting helps keep you on the most efficient route possible. Go wireless with Bluetooth, launch Pandora or Aha from a smartphone or choose from over 140 channels of SiriusXM Satellite Radio for the ultimate driving soundtrack. With the USB audio input, you can even connect an MP3 player and take your music library on the go. Technology is about more than just connectivity and entertainment; the AcuraWatch safety system package is equipped to each RLX and includes amenities like Collision Mitigation Braking, Adaptive Cruise Control, Road Departure Mitigation, and more. Acura’s exclusive ELS Premium Audio is standard on the RLX, but drivers looking to go beyond the precision audio of Elliot Scheiner will enjoy the 14-speaker Krell audio system of the Advance Package. We have only touched on some of the 2017 Acura RLX technology features that make this sedan the clear choice for the Acura flagship, and we haven’t even covered the luxurious RLX interior. 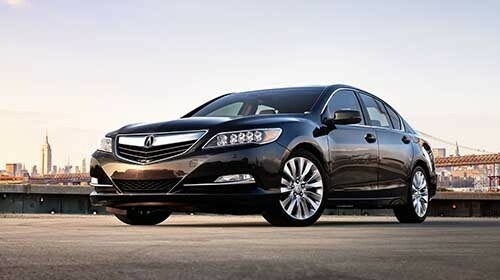 We think the best way for you to see what the RLX has to offer is to get behind the wheel, and we want to help. Contact Autosport Acura of Denville to schedule some time in the driver’s seat and feel the premium, perforated Milano leather for yourself. We’ll guide you through how easy and intuitive all of the features are so you’re ready to use them on your drive back home to Essex or Somerset.